Of the dioceses, Liège was the first to adopt it under Bishop Notger (d. 1008). It is then found in the martyrology of St. Protadius of Besançon (1053-66). Bishop Otricus (1120-25) introduced it into Milan for the 15 October. 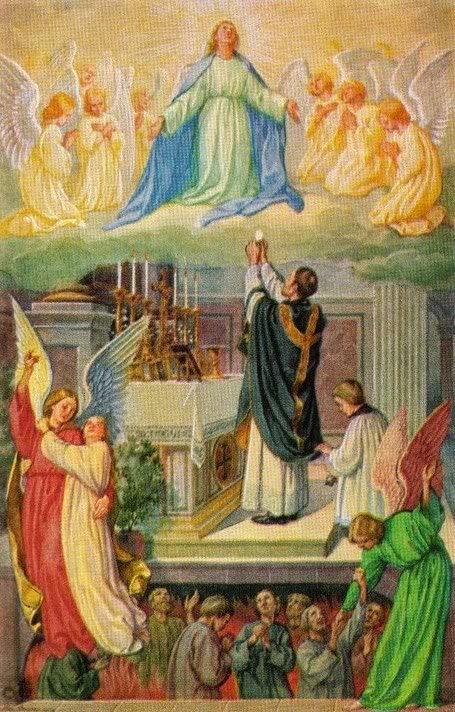 In Spain, Portugal, and Latin America, priests on this day say three Masses. A similar concession for the entire world was asked of Pope Leo XIII. He would not grant the favour but ordered a special Requiem on Sunday, 30 September, 1888.Catholic Encyclopedia In the Greek Rite this commemoration is held on the eve of Sexagesima Sunday, or on the eve of Pentecost. The Armenians celebrate the passover of the dead on the day after Easter.